One of the major contributions of black fabric is the idea of luxury. 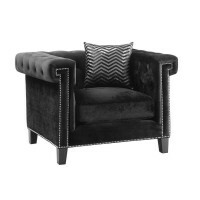 This sofa, with love seat and chair, is just that. 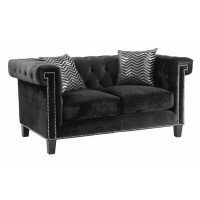 A beautiful sofa with tuft and nail head trimming; two of the best combinations of design.